I knew that, I just couldn't find a last name for my guy. I'll change the age though. Personality: Tyranid Hater, especially hater of the hiveship 'Leviathan'. Veteran of the Tyranid Invasion of Tarsis Ultra, member of 4th company of Ultramarine. A man of Honor & Glory, always with a helm on the head. 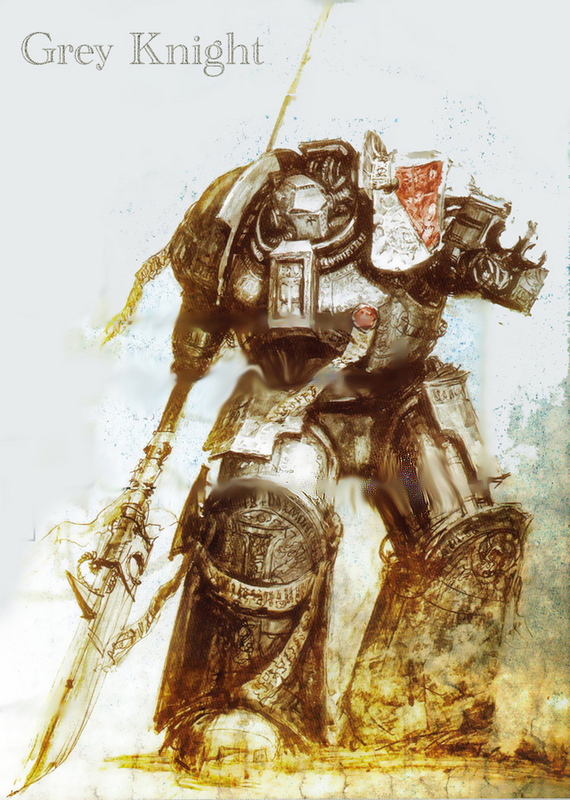 Character History: Uthius was under the command of Uriel Ventris, from the 4th company "Guardians of Ultramar" while the Tyranid Invasion on Tarsis Ultra. Uthius was always a man of honor and glory but he never wants to show his face, maybe because he sees his abilities and skills as standard for a worthwhile Ultramarine for the Emperor. But he never wants to be a Captain because he doesnt want that people believes in him like in the Holy God Emperor. But if someone saw his face.... then it was his parents, the emperor (he sees all), and his instructor on Macragge, the homeworld of the Ultramarines. He became a Veteran after he survived with some brothers of the Ultramarines and Mortifactors the invasion on Tarsis Ultra. He was one of those who defended the city with all his power like the rest of survivers. After this invasion he was promoted to a Veteran, like all Ultramarines who were left in that invasion. He was impressed on the power of the Ultramarines but.... he was also shocked when he heard that Uriel Ventris, his Captain, and a Seargent who he cant remember on, were banned of the imperium because they acted against the Codex. we are experienced warriors of the emperor!!! some of us became veterans against chaos, some against necrons, some against tau but.... when you are after the battle of Tarsis Ultra alive... then the Emperor is with you! charecter history: connor was born very low down on the social ladder as the son of an ex guard dog trooper the second youngest of four he joined the guard after his brothers felix and maximilium. but unlike his brothers he was chosen for the storm troopers due to his higher than average skills at being a marksman and athlete he then made his way up to captain and comands a platoon of storm troopers.